This is the second post in the bloggERS Making Tech Skills a Strategic Priority series. Remember that scene in The Matrix where Neo wakes and says “I know kung fu”? Library Carpentry is like that. Almost. Do you need to search lots of files for pieces of text and tire of using Ctrl-F? In the UNIX shell lesson you’ll learn to automate tasks and rapidly extract data from files. Are you managing datasets with not-quite-standardized data fields and formats? In the OpenRefine lesson you’ll easily wrangle data into standard formats for easier processing and de-duplication. There are also Library Carpentry lessons for Python (a popular scripting programming language), Git (a powerful version control system), SQL (a commonly used relational database interface), and many more. Library Carpentry is part of the Carpentries, an organization is designed to provide training to scientists, researchers, and information professionals on the computational skills necessary for work in this age of big data. The goals of Library Carpentry align with this series’ initial call for contributions, providing resources for those in data- or information-related fields to work “more with a shovel than with a tweezers.” Library Carpentry workshops are primarily hands-on experiences with tools to make work more efficient and less prone to mistakes when performing repeated tasks. One of the greatest parts about a Library Carpentry workshop is that they begin at the beginning. That is, the first lesson is an Introduction to Data, which is a structured discussion and exercise session that breaks down jargon (“What is a version control system”) and sets down some best practices (naming things is hard). Not only are the lessons designed for those working in library and information professions, but they’re also designed by “in the trenches” folks who are dealing with these data and information challenges daily. As part of the Mozilla Global Sprint, Library Carpentry ran a two-day hackathon in May 2018 where lessons were developed, revised, remixed, and made pretty darn shiny by contributors at ten different sites. For some, the hackathon itself was an opportunity to learn how to use GitHub as a collaboration tool. Furthermore, Library Carpentry workshops are led by librarians, like the most recent workshop at the University of Arizona, where lessons were taught by our Digital Scholarship Librarian, our Geospatial Specialist, our Liaison Librarian to Anthropology (among other domains), and our Research Data Management Specialist. Feels very powerful to be able to navigate files this way, quickly & in bulk. So regardless of how you work with data, Library Carpentry has something to offer. If you’d like to host a Library Carpentry workshop, you can use our request a workshop form. You can also connect to Library Carpentry through social media, the web, or good old fashioned e-mail. And since you’re probably working with data already, you have something to offer Library Carpentry. This whole endeavor runs on the multi-faceted contributions of the community, so join us, we have cookies. And APIs. And a web scraping lesson. The terrible puns are just a bonus. As cultural icons go, the floppy disk continues to persist in the contemporary information technology landscape. Though digital storage has moved beyond the 80 KB – 1.44 MB storage capacity of the floppy disk, its image is often shorthand for the concept of saving one’s work (to wit: Microsoft Word 2016 still uses an icon of a 3.5″ floppy disk to indicate save in its user interface). Likewise, floppy disks make up a sizable portion of many archival collections, in number of objects if not storage footprint. If a creator of personal papers or institutional records maintained their work in electronic form in the 1980s or 1990s, chances are high that these are stored on floppy disks. But the persistent image of the ubiquitous floppy disk conceals a long list of challenges that come into play as archivists attempt to capture their data. For starters, we often grossly underestimate the extent to which the technology was in active development during its heyday. One would be forgiven the assumption that there existed only a small number of floppy disk formats: namely 5.25″ and 3.5″, plus their 8″ forebears. But within each of these sizes there existed myriad variations of density and encoding, all of which complicate the archivist’s task now that these disks have entered our stacks. This is to say nothing of the hardware: 8″ and 5.25″ drives and standard controller boards are no longer made, and the only 3.5″ drive currently manufactured is a USB-enabled device capable only of reading disks with the more recent encoding methods storing file systems compatible with the host computer. And, of course, none of the above accounts for media stability over time for obsolete carriers. Enter KryoFlux, a floppy disk controller board first made available in 2009. KryoFlux is very powerful, allowing users of contemporary Windows, Mac, and Linux machines to interface with legacy floppy drives via a USB port. The KryoFlux does not attempt to mount a floppy disk’s file system to the host computer, granting two chief affordances: users can acquire data (a) independent of their host computer’s file system, and (b) without necessarily knowing the particulars of the disk in question. The latter is particularly useful when attempting to analyze less stable media. 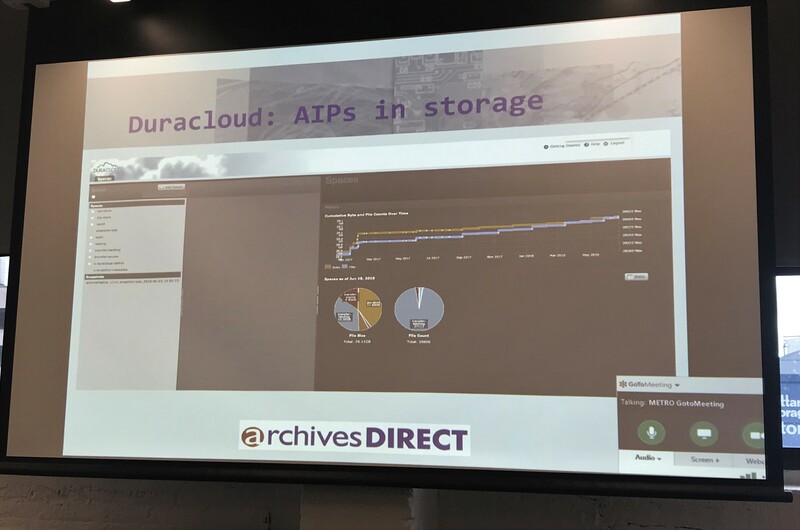 Despite the powerful utility of KryoFlux, uptake among archives and digital preservation programs has been hampered by a lack of accessible documentation and training resources. The official documentation and user forums assume a level of technical knowledge largely absent from traditional archival training. Following several informal conversations at Stanford University’s Born-Digital Archives eXchange events in 2015 and 2016, as well as discussions at various events hosted by the BitCurator Consortium, we formed a working group that included archivists and archival studies students from Emory University, the University of California Los Angeles, Yale University, Duke University, and the University of Texas at Austin to create user-friendly documentation aimed specifically at archivists. Development of The Archivists Guide to KryoFlux began in 2016, with a draft released on Google Docs in Spring 2017. The working group invited feedback over a 6-month comment period and were gratified to receive a wide range of comments and questions from the community. Informed by this incredible feedback, a revised version of the Guide is now hosted in GitHub and available for anyone to use, though the use cases described are generally those encountered by archivists working with born-digital collections in institutional and manuscript repositories. The Guide is written in two parts. “Part One: Getting Started” provides practical guidance on how to set-up and begin using the KryoFlux and aims to be as inclusive and user-friendly as possible. It includes instructions for running KryoFlux using both Mac and Windows operating systems. Instructions for running KryoFlux using Linux are also provided, allowing repositories that use BitCurator (an Ubuntu-based open-source suite of digital archives tools) to incorporate the KryoFlux into their workflows. “Part Two: In Depth” examines KryoFlux features and floppy disk technology in more detail. This section introduces the variety of floppy disk encoding formats and provides guidance as to how KryoFlux users can identify them. Readers can also find information about working with 40-track floppy disks. Part Two covers KryoFlux-specific output too, including log files and KryoFlux stream files, and suggests ways in which archivists might make use of these files to support digital preservation best practices. Short case studies documenting the experiences of archivists at other institutions are also included here, providing real-life examples of KryoFlux in action. As with any technology, the KryoFlux hardware and software will undergo updates and changes in the future which will, if we are not careful, have an effect on the currency of the Guide. In an attempt to address this possibility, the working group have chosen to host the guide as a public GitHub repository. This platform supports versioning and allows for easy collaboration between members of the working group. Perhaps most importantly, GitHub supports the integration of community-driven contributions, including revisions, corrections, and updates. We have established a process for soliciting and reviewing additional contributions and corrections (short answer: submit a pull request via GitHub! ), and will annually review the membership of an ongoing working group responsible for monitoring this work to ensure that the Guide remains actively maintained for as long as humanly possible. On this year’s World Digital Preservation Day, the Digital Preservation Coalition presented The Archivist’s Guide to KryoFlux with the 2018 Digital Preservation Award for Teaching and Communications. It was truly an honor to be recognized alongside the other very worthy finalists, and a cherry-on-top for what we hope will remain a valuable resource for years to come. [Matthew] Farrell is the Digital Records Archivist in Duke University’s David M. Rubenstein Rare Book & Manuscript Library. Farrell holds an MLS from the University of North Carolina at Chapel Hill. 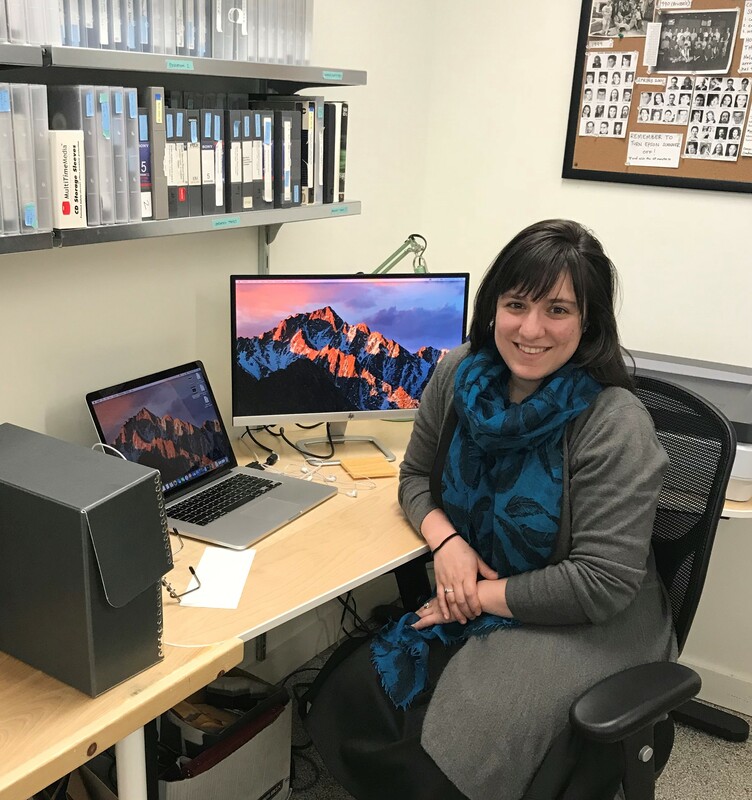 Shira Peltzman is the Digital Archivist for the UCLA Library where she leads a preservation program for Library Special Collections’ born-digital material. Shira received her M.A. in Moving Image Archiving and Preservation from New York University’s Tisch School of the Arts, and was a member of the inaugural cohort of the National Digital Stewardship Residency in New York (NDSR-NY). This is the first post in the bloggERS Making Tech Skills a Strategic Priority series. Hi, SAA ERS readers! 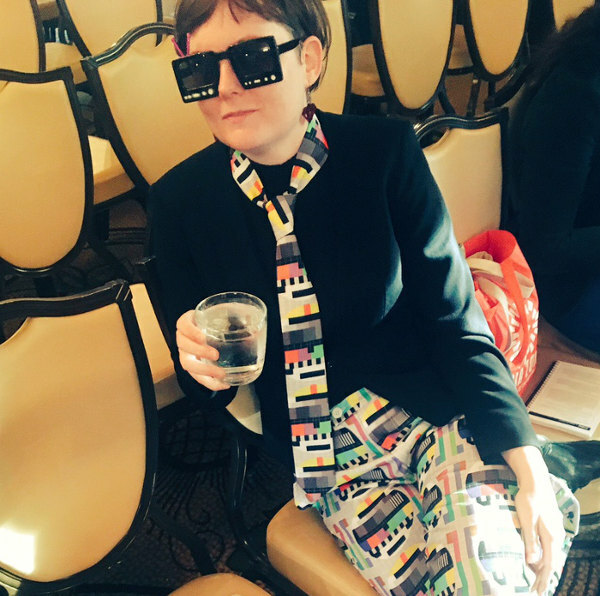 My name is Ashley Blewer, and I am sort of an archivist, sort of a developer, and sort of something else I haven’t quite figured out what to call myself. I work for a company for Artefactual Systems, and we make digital preservation and access software called Archivematica and AtoM (Access to Memory) respectively. My job title is AV Preservation Specialist, which is true, that is what I specialize in, and maybe that fulfills part of that “sort of something else I haven’t quite figured out.” I’ve held a lot of different roles in my career, as digital preservation consultant, open source software builder and promoter, developer at a big public library, archivist at a small public film archive, and other things. This, however, is my first time working for an open source technology company that makes software used by libraries, archives, museums, and other organizations in the cultural heritage sector. I think this is a rare vantage point from which to look at the field and its relationship to technology, and I think that even within this rare position, we have an even more unique culture and mentality around archives and technology that I’d like to talk about. Within Archivematica, we have a few loosely defined types of jobs. There are systems archivists, which we speak of internally as analysts, there are developers (software engineers), and there are also systems operations folks (systems administrators and production support engineers). We have a few other roles that sit more at the executive level, but there isn’t a wall between any of these roles, as even those who are classified as being “in management” also work as analysts or systems engineers when called upon to do so. My role also sits between a lot of these loosely defined roles — I suppose I am technically classified as an analyst, and I run with the fellow analyst crew: I attend their meetings, work directly with clients, and other preservation-specific duties, but I also have software development skills, and can perform more traditionally technical tasks like writing code, changing how things function at a infrastructure level, and reviewing and testing the code that has been written by others. I’m still learning the ropes (I have been at the organization full-time for 4 months), but I am increasingly able to do some simple system administration tasks too, mostly for clients that need me to log in and check out what’s going on with their systems. 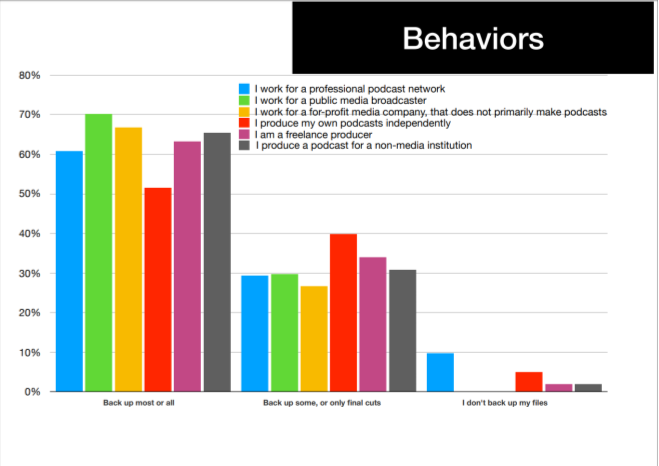 This seems to be a way in which roles at my company and within the field (I hope) are naturally evolving. 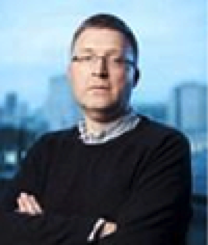 Another example is my brilliant colleague Ross Spencer who works as a software engineer, but has a long-established career working within the digital preservation space, so he definitely lends a hand providing crucial insight when doing “analyst-style” work. We are a technical company, and everyone on staff has some components that are essential to a well-rounded digital preservation systems infrastructure. For example, all of us know how to use Git (a version control management system made popular by Github) and we use it as a regular part of our job, whether we are writing code or writing documentation for how to use our software. But “being technical” or having technical literacy skills involves much, much more than writing code. My fellow analysts have to do highly complex and nuanced workflow development and data mapping work, figuring out niche bugs associated with some of the microservices we run, and articulating in common human language some of the very technical parts of a large software system. I think Artefactual’s success as a company comes from the collective ability to foster a safe, warm, and collaborative environment that allows anyone on the team to get the advice or support they need to understand a technical problem, and use that knowledge to better support our software, every Archivematica user (client or non-client), and the larger digital preservation community. This is the most important part of any technical initiative or training, and it is the most fundamental component of any system. I don’t write this as a representative for Artefactual, but as myself, a person who has held many different roles at many different institutions all with different relationships to technology, and this has by far been the most healthy and on-the-job educational experience I have had, and I think those two things go hand-in-hand. I can only hope that other organizations begin to narrow the line between “person who does archives work” and “technical person” in a way that supports collaboration and cross-training between people coming into the field with different backgrounds and experiences. We are all in this together, and the only way we are gonna get things done is if we work closely together. 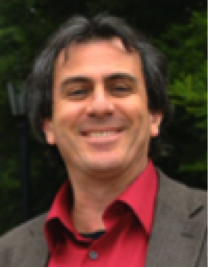 Development of the Digital Processing Framework began after the second annual Born Digital Archiving eXchange unconference at Stanford University in 2016. There, a group of nine archivists saw a need for standardization, best practices, or general guidelines for processing digital archival materials. What came out of this initial conversation was the Digital Processing Framework (https://hdl.handle.net/1813/57659) developed by a team of 10 digital archives practitioners: Erin Faulder, Laura Uglean Jackson, Susanne Annand, Sally DeBauche, Martin Gengenbach, Karla Irwin, Julie Musson, Shira Peltzman, Kate Tasker, and Dorothy Waugh. An initial draft of the Digital Processing Framework was presented at the Society of American Archivists’ Annual meeting in 2017. The team received feedback from over one hundred participants who assessed whether the draft was understandable and usable. Based on that feedback, the team refined the framework into a series of 23 activities, each composed of a range of assessment, arrangement, description, and preservation tasks involved in processing digital content. For example, the activity Survey the collection includes tasks like Determine total extent of digital material and Determine estimated date range. The Digital Processing Framework’s target audience is folks who process born digital content in an archival setting and are looking for guidance in creating processing guidelines and making level-of-effort decisions for collections. The framework does not include recommendations for archivists looking for specific tools to help them process born digital material. We draw on language from the OAIS reference model, so users are expected to have some familiarity with digital preservation, as well as with the management of digital collections and with processing analog material. Within each activity are a number of associated tasks. For example, tasks identified as part of the Establish physical control over removable media activity include, among others, assigning a unique identifier to each piece of digital media and creating suitable housing for digital media. Taking inspiration from MPLP and extensible processing methods, the framework assigns these associated tasks to one of three processing tiers. These tiers include: Baseline, which we recommend as the minimum level of processing for born digital content; Moderate, which includes tasks that may be done on collections or parts of collections that are considered as having higher value, risk, or access needs; and Intensive, which includes tasks that should only be done to collections that have exceptional warrant. In assigning tasks to these tiers, practitioners balance the minimum work needed to adequately preserve the content against the volume of work that could happen for nuanced user access. When reading the framework, know that if a task is recommended at the Baseline tier, then it should also be done as part of any higher tier’s work. We designed this framework to be a step towards a shared vocabulary of what happens as part of digital processing and a recommendation of practice, not a mandate. We encourage archivists to explore the framework and use it however it fits in their institution. This may mean re-defining what tasks fall into which tier(s), adding or removing activities and tasks, or stringing tasks into a defined workflow based on tier or common practice. Further, we encourage the professional community to build upon it in practical and creative ways. 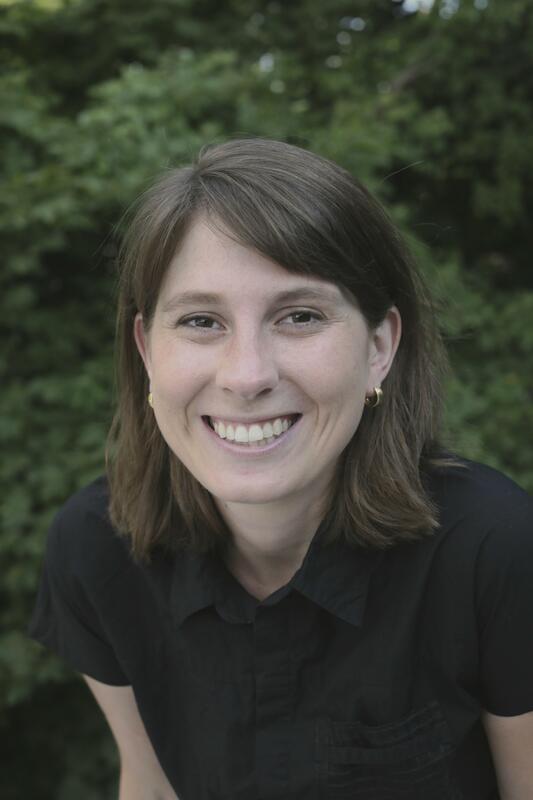 Erin Faulder is the Digital Archivist at Cornell University Library’s Division of Rare and Manuscript Collections. 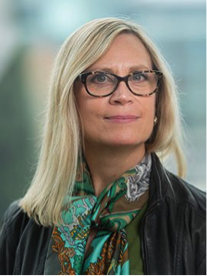 She provides oversight and management of the division’s digital collections. She develops and documents workflows for accessioning, arranging and describing, and providing access to born-digital archival collections. She oversees the digitization of analog collection material. In collaboration with colleagues, Erin develops and refines the digital preservation and access ecosystem at Cornell University Library. 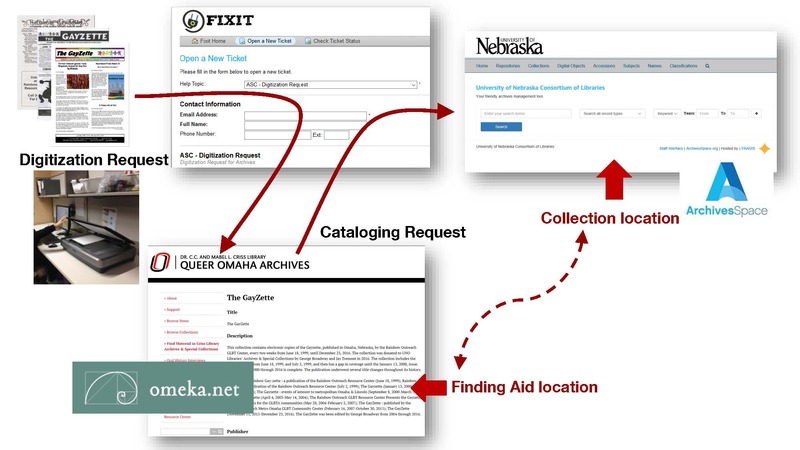 The Queer Omaha Archives (QOA) is an ongoing effort by the University of Nebraska at Omaha Libraries’ Archives and Special Collections to collect and preserve Omaha’s LGBTQIA+ history. This is still a fairly new initiative at the UNO Libraries, having been launched in June 2016. 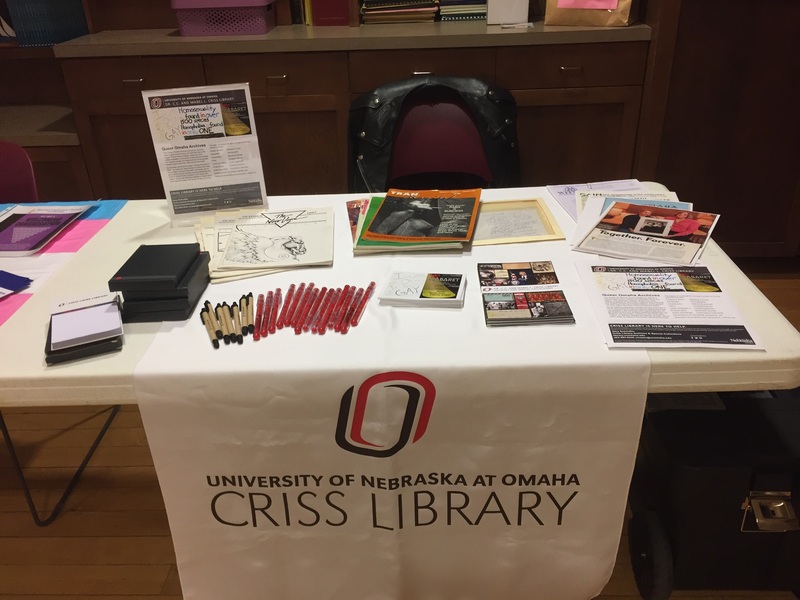 This blog post is adapted and expanded from a presentation entitled “Show Us Your Omaha: Combatting LGBTQ+ Archival Silences,” originally given at the June 2017 Nebraska Library Association College & University Section spring meeting. The QOA was only a year old at that point, and now that another year (plus change) has passed, the collection has continued to grow, and we’ve learned some new lessons. So here are the top takeaways from UNO’s experience with the QOA. #6. Words have power, and sometimes also baggage. Words sometimes mean different things to different people. Each person’s life experience lends context to the way they interpret the words they hear. And certain words have baggage. We named our collecting initiative the Queer Omaha Archives because in our case, “queer” was the preferred term for all LGBTQIA+ people as well as referring to the academic discipline of queer studies. In the early 1990s, the community in Omaha most commonly referred to themselves as “gays and lesbians.” Later on, bisexuals were included, and the acronym “GLB” came into more common use. Eventually, when trans people were finally acknowledged, it became “GLBT.” Then there was a push to switch the order to “LGBT.” And then more letters started piling on, until we ended up with the LGBTQIA+ commonly used today. Sometimes, it is taken even further, and we’ve seen LGBTQIAPK+, LGBTQQIP2SAA, LGBTQIAGNC, and other increasingly long and difficult-to-remember variants. (Although, Angela confesses to finding QUILTBAG to be quite charming.) The acronym keeps shifting, but we didn’t want our name to shift, so we followed the students’ lead (remember the QTS “Cuties”?) and just went with “queer.” “Queer” means everyone. Except . . . “queer” has baggage. Heavy, painful baggage. At Pride 2016, an older man, who had donated materials to our archive, stopped by our booth and we had a conversation about the word. For him, it was the slur his enemies had been verbally assaulting him with for decades. The word still had a sharp edge for him. Angela (being younger than this donor, but older than most of the students on campus) acknowledged that they were just old enough for the word to be startling and sometimes uncomfortable. But many Millennials and Generation Z youths, as well as some older adults, have embraced “queer” as an identity. Notably, many of the younger people on campus have expressed their disdain for being put into boxes. Identifying as “gay” or “lesbian” or “bi” seems too limiting to them. Our older patron left our booth somewhat comforted by the knowledge that for much of the population, especially the younger generations, “queer” has lost its sting and taken on a positive, liberating openness. But what about other LGBTQIA+ people who haven’t stopped by to talk to us, to learn what we mean when we call our archives “queer”? Who feels sufficiently put off by this word that they might choose against sharing their stories with our archive? We aren’t planning to change our name, but we are aware that our choice of word may give some potential donors and potential users a reason to hesitate before approaching us. So whatever community your archive serves, think about the words that community uses to describe themselves, and the words others use to describe them, and whether those words might have connotations you don’t intend. #7. Find your community. Partnerships, donors, and volunteers are the keys to success. It goes without saying that archives are built from communities. We don’t (usually) create the records. We invite them, gather them, describe them, preserve them, and make them available to all, but the records (usually) come from somewhere else. Especially if you’re building an archive for an underrepresented community, you need buy-in from the members of that community if you want your project to be successful. You need to prove that you’re going to be trustworthy, honorable, reliable stewards of the community’s resources. You need someone in your archive who is willing and able to go out into that community and engage with them. For us, that was UNO Libraries’ Archives and Special Collections Director Amy Schindler, who has a gift for outreach. Though herself cis and straight, she has put in the effort to prove herself a friend to Omaha’s LGBTQIA+ community. You also need members of that community to be your advocates. For us, our advocates were our first donors, the people who took that leap of faith and trusted us with their resources. We started with our own university. The work of the archivist and the archives would not have been possible without the collaboration and support of campus partners. UNO GSRC Director Dr. Jessi Hitchins and UNO Sociology Professor Dr. Jay Irwin together provided the crucial mailing list for the QOA’s initial publicity and networking. Dr. Irwin and his students collected the interviews which launched the LGBTQ+ Voices oral history project. Retired UNO professor Dr. Meredith Bacon donated her personal papers and extensive library of trans resources. From outside the UNO community, Terry Sweeney, who with his partner Pat Phalen had served as editor of The New Voice of Nebraska, donated a complete set of that publication, along with a substantial collection of papers, photographs, and artifacts, and he volunteered in the archives for many weeks, creating detailed and accurate descriptions of the items. These four people, and many others, have become our advocates, friends, and champions within the Omaha LGBTQIA+ community. Our lesson here: Find your champions. Prove your trustworthiness, and your champions will help open doors into the community. #8. Be respectful, be interested, and be present. Fig. 3: UNO Libraries table at a Transgender Day of Remembrance event. There’s also something to be said for simply ensuring that folks within the archives, and the library as a whole for that matter, have a basic awareness of the QOA and other collecting initiatives, so that we can better fulfill our mission of connecting people to the resources they need. After all, when someone walks into the library, before they even reach the archives, any staff member might be their first point of contact. So be sure to do outreach within your own institution, as well. #9. Let me sing you the song of my administrative support. The QOA was conceived by the efforts from UNO students, UNO employees, and Omaha communities to address the underrepresentation of the LGBTQIA+ communities in Omaha. The initiative of the QOA was inspired by Josh Burford who delivered a presentation about collecting and archiving historical materials related to queering history. This presentation was co-hosted by UNO’s Gender and Sexuality Resource Center in the LGBTQIA+ History Month. After this event, the UNO community became keenly interested in collecting and preserving historical materials and oral history interviews about “Queer Omaha,” and began collaborating with our local LGBTQIA+ communities. In Summer 2016, the QOA was officially launched to preserve the enduring value of the legacy of LGBTQIA+ communities in greater Omaha. The QOA is an effort to combat an archival silence in the community, and digital collections and digital engagement are especially effective tools for making LGBTQIA+ communities aware that the archives welcome their records! But none of this would have been possible without administrative support. If the library administration or the university administration had been indifferent—or worse, hostile—to the idea of building a LGBTQIA+ archive, we might not have been allowed to allocate staff time and other resources to this project. We might have been told “no.” Thank goodness, our library dean is 100% on board. And UNO is deeply committed to inclusion as one of our core values, which has created a campus-wide openness to the LGBTQIA+ community, resulting in an environment perfectly conducive to building this archive. In fact, in November 2017, UNO was identified as the most LGBTQIA+-friendly college in the state of Nebraska by the Campus Pride Index in partnership with BestColleges.com. An initiative like the QOA will always go much more smoothly when your administration is on your side. We recognize that we still have a long way to go. There are quite a few gaps within our collection. 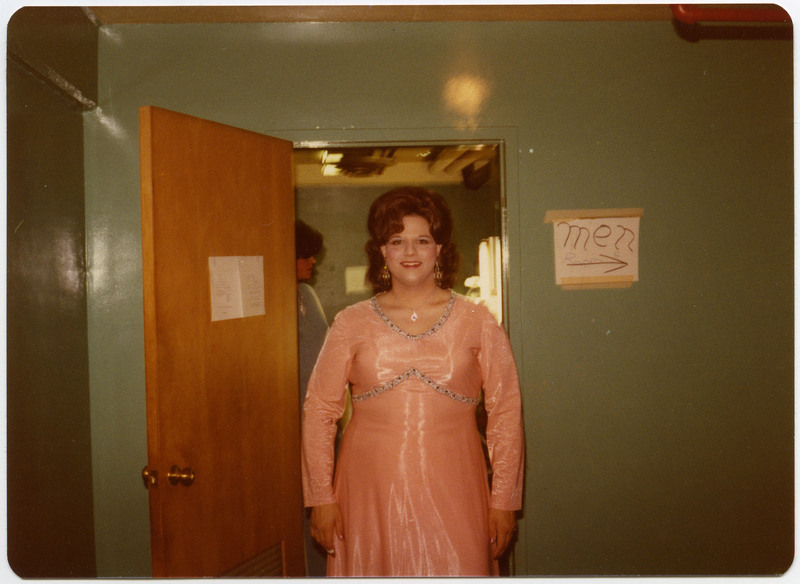 We have the papers of a trans woman, but only oral histories from trans men. We don’t yet have anything from intersex folks or asexuals. We have very little from queer people of color or queer immigrants, although we do have some oral histories from those groups, thanks to the efforts of Dr. Jay Irwin, who launched the oral history project, and Luke Wegener, who was hired as a dedicated oral history associate for UNO Libraries. A major focus on the LGBTQIA+ oral history interview project is filling identified gaps within the collection, actively seeking more voices of color and other underrepresented groups within the LGBTQIA+ community. However, despite our efforts to increase the diversity within the collection, we haven’t successfully identified potential donors or interviewees to represent all of the letters within LGBTQIA, much less the +. This isn’t—and should never be—a series of checkboxes on a list. “Oh, we have a trans woman. We don’t need any more trans women.” No, that’s not how it works. We seek to fill the gaps, while continuing to welcome additional material from groups already represented. We are absolutely not going to turn away a white cis gay man just because we already have multiple resources from white cis gay men. Every individual is different. Every individual brings a new perspective. We want our collection to include as many voices as possible. So we need to promote our collection more. We need to do more outreach. We need to attract more donors, users, and champions. This will remain an ongoing effort without an endpoint. There is always room for growth. Angela Kroeger is the Archives and Special Collections associate at the University of Nebraska at Omaha and a lifelong Nebraskan. They received their B.A. in English from the University of Nebraska at Omaha and their Master’s in Library and Information Science from the University of Missouri. Yumi Ohira is the Digital Initiatives Librarian at the University of Nebraska at Omaha. Ohira is originally from Japan where she received a B.S. in Applied Physics from Fukuoka University. Ohira moved to the United States to attend University of Kansas and Southern Illinois University-Carbondale where she was awarded an M.F.A. in Studio Art. Ohira went on to study at Emporia State University, Kansas, where she received an M.L.S. and Archive Studies Certification. So here are the top ten takeaways from UNO’s experience with the QOA. #1. First, you need to notice the hole. Then you need to notice the opportunity to fill it. Archivists work hard to gather the voices of whichever communities we serve. Diaries, letters, meeting minutes, photographs. We want to tell the full story, but in reality, we are only telling the stories of those whose papers and records we’ve managed to obtain. Whose stories are missing? What segments of our population have no papers or records in our archives? These are the gaps, the silences. Gaps exist for a variety of reasons, sometimes intentional and sometimes accidental. But when you discover a gap, you need to decide whether it falls within your collecting mission and whether you have the time and resources to commit to filling it. It can be difficult to find the voices of those who have been excluded in the past. If their words were not preserved back in the day, then those papers and photographs may no longer exist to be collected and preserved now. They have already vanished. Their history cannot be retrieved or reconstructed, unless you are able to collect the community’s oral history, recording interviews and stories from those willing to share their experiences, or second- or third-hand stories they remember learning from their antecedents. The longer you wait, the more people who experienced something first-hand pass away, the harder it is to find representations of life in the gaps. That is why it is important to begin collecting underrepresented voices from the present, to preserve them now so that they will not vanish in the future. Although in the past, UNO—like most institutions in Nebraska at that time—both passively and actively silenced LGBTQIA+ voices on campus, by 2016, UNO had become a very LGBTQIA+-positive campus, with an active and engaged Gender and Sexuality Resource Center (GSRC) and a thriving student group, Queer and Trans Services (QTS, pronounced “Cuties”). The lack of LGBTQIA+ materials in our university archives and special collections became recognized as a glaring silence, and the time was right to mount an effort to fill it. The GSRC and QTS were obvious partnerships to lead with, but we also courted and welcomed resources from the greater Omaha community. #2. A picture needs a thousand words. May your descriptions be ever honest and clear. Part of the challenge with digitizing photographs is knowing how to correctly describe the digitized photographs and determining how to deliver the stories presented in the images. As we have digitized photographs of queer Omaha history, we have described, in detail, the context of creation, knowing that constructive dialogue with the LGBTQIA+ community and other diverse groups is important. In order to ensure that people are informed, and to deliver the detailed stories of the subjects, we have provided specific, clear, and honest metadata on each photograph and maintained quality archival descriptions of these image from Omaha’s LGBTQIA+ history. gown and smiling for the camera. From the Terry Sweeney and Pat Phalen Papers, Archives & Special Collections, Criss Library, University of Nebraska at Omaha. #3. Find the right platform to present your resources. Digital resources and web-based platforms bring together specialized collections and integrate access to digital resources for a diverse audience. The goals of the online side of the QOA project are to maintain, display, retrieve, and utilize the digitized materials of the QOA, and to facilitate access to digitized primary sources which include information about the LGBTQIA+ community and its history. As a web-based presentation tool, Omeka.net is designed to display and exhibit digital collections. For a specialized outreach focus, we use Omeka.net as our digital repository for the QOA collection. Omeka.net is an excellent web-based publishing tool with an easy process for adding and organizing digital materials into specific categories, creating collections, and tagging items within these collections. #4. Systematic workflows keep the work . . . well . . . flowing. Workflow systems aid the efficient and effective digitization process. An open source support ticket system, osTicket, allows us to establish systematic workflows to request and complete digitizing and cataloging QOA materials. With the systematic workflows through osTicket, we have successfully implemented the link between digital collections and their finding aids. As you can see in the image below, the URL of the digital object has been added to a cataloging record, and the URL of the cataloging record has been presented on the metadata of the digital object. Accessing the finding aid from the metadata of the digital object, the site user can learn more about the context of the digital object in the entire QOA and also explore other materials in this collection. Fig. 2: Digitization and cataloging workflow for items in the QOA. #5. Maintaining consistent metadata between multiple platforms is a nightmare challenge. To provide the best access to materials in the QOA, it is important to create high-quality and consistent metadata across different platforms. First, the item is digitized. Next, the digitized item will be presented on a digital platform (in this case, Omeka.net) with its metadata. Then, a finding aid describing the item will be imported into an archival information management system (in this case, ArchivesSpace). Different people are working on metadata creation in Omeka.net and ArchivesSpace. Also, each platform has slightly different metadata across the various elements. For example, the QOA Omeka.net site has subject headings at the item level, while ArchivesSpace has subject headings only at the collection level. How can we create consistent metadata across different platforms with different people creating and maintaining the metadata? Metadata consistency is very important for the user to be able to find all information about the item in any platform. A manageable workflow for metadata creation among different systems, and people, can ensure that we provide the users the best possible access to the materials and metadata which describes each photograph and document. However, when these different systems don’t talk to each other and the data doesn’t synchronize automatically across the platforms, then even metadata which starts out consistent can drift as a record updated in one system remains unchanged (or is changed differently) in another system. We still haven’t found a smooth, perfect way to deal with this, but Yumi (working in Omeka) and Angela (working in ArchivesSpace and Worldcat) have focused on improving our communication, so when one makes a change on one platform, the other can update the other platform to match. A complicating factor is when the different metadata standards simply lack appropriate fields for information contained in another field, or have different standards for how that metadata should be formatted. For example, books and serials are cataloged in WorldCat with the MARC metadata standard following RDA rules. Items in ArchivesSpace are cataloged with EAD-compliant metadata according to DACS rules. Items in Omeka.net (which may have parallel records in either or both of the other systems) are described with Dublin Core metadata. Lossless mapping between these standards is rarer than we might wish. Sometimes even when platforms use adapted versions of the same metadata standard, such as Dublin Core, the metadata fields in each platform may still vary. Further, beyond the compatibility of the standards, there is a parallel issue of system compatibility, and whether the tools used to move metadata from one platform into another can handle all of the fields present in both systems. We encountered a specific problem when migrating metadata from Omeka.net to ArchivesSpace for a batch of QOA items. Certain fields simply didn’t transfer at all due to the limitations of the third-party conversion tool available to us at the time. So while metadata consistency remains the ideal and the goal, reality sometimes dictates a little tolerance for metadata divergence. The resources are still findable in both systems, but not necessarily equally findable. This is an area where we continue to strive for improvements in the process.